Escape to the land of Rip Van Winkle. Legendary mountains and lush forests hold breathtaking views and boundless adventures. No matter when you visit, vacations are cooler here. Swim in crystal-clear lakes, tube on Esopus Creek, see autumn’s splendor from a vintage train, or ski at resorts like Hunter and Windham. Cast a line in the trout streams where American fly fishing began, hike to sparkling waterfalls, and savor farm-to-table fare in country inns. Country roads lead to antique and art galleries in villages like Andes, Phoenicia and Woodstock, an art colony since 1902 and still the world’s most famous small town. 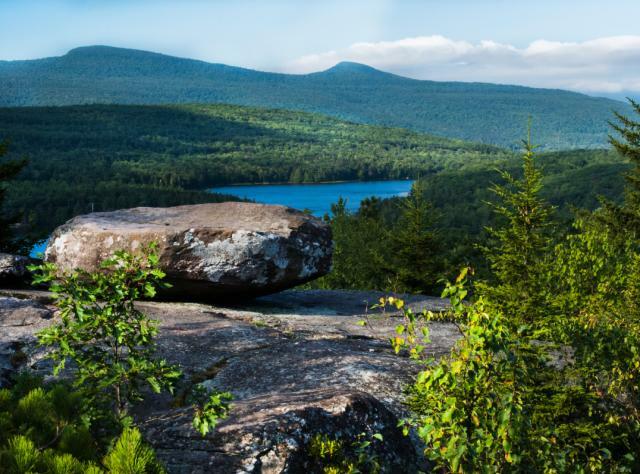 Discover one-of-a-kind attractions like the hang-gliding capital of the Northeast and distinctive lodging, from The Roxbury’s groovy themed rooms to campsites at North-South Lake, the biggest state park in the Catskill Forest Preserve.